A point of contact for members to interact with other members who share similar interests relating to particular areas within workplace bullying, and to further those interests individually and collectively in terms of research, practice and other activities. A forum through which members can learn about and develop new interests by interacting with/joining other SIGs. A resource centre in terms of connecting with people, learning about and gaining access to existing perspectives, materials and skills, developing perspectives, materials and skills, taking the area forward, etc. An avenue by which emergent areas can be developed. A meeting ground for academics and practitioners/employers which promotes the development of the field through synergistic collaboration. SIGs are essentially member-driven, with a convenor taking the lead and a co-convenor actively supporting him/her. The minimum set of activities envisaged include a webpage on the upcoming Association website, contributions to the Association newsletter and an e-forum or discussion group. Other activities are expected to emerge from the SIG itself. Convenors manage the activities and facilitate the functioning of SIGs, being assisted in the endeavour by co-convenors. Thanks to our enthusiastic members, numerous SIGs have been initiated. These include Bystanders, Cross-cultural Issues, Legal Issues, Organizational Influences, Organizational Practitioners, Quantitative Research Methods, Risk Management, Therapeutic Practitioners and Trade Unions. We would love to have members step up to initiate and convene/co-convene SIGs. 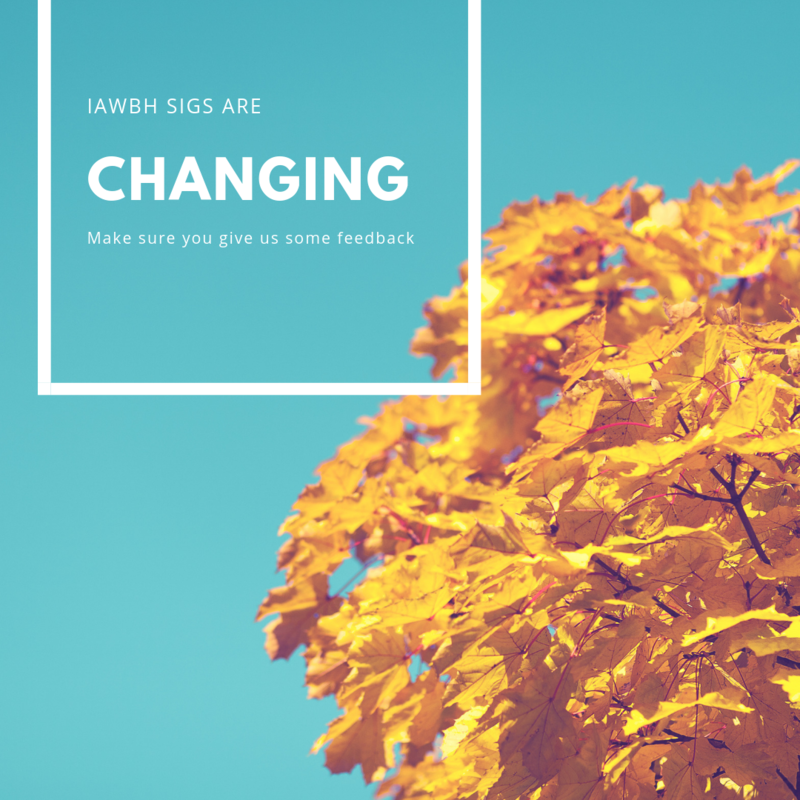 Please contact the SIG Coordinator on the Board, Eva Gemzoe Mikkelsen at SIGS@iawbh.org for more about this!